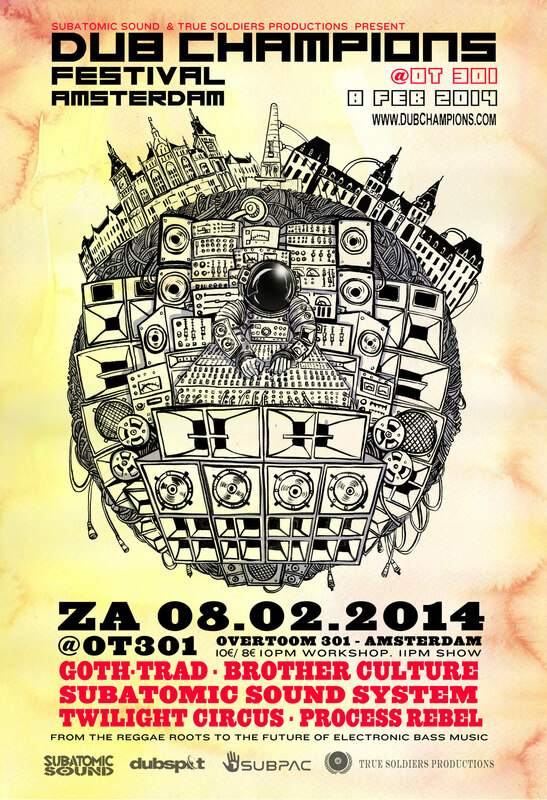 Subatomic Sound’s Dub Champions Festival debuts in Amsterdam @OT301 with Goth-Trad, Subatomic Sound System, Twilight Circus, Brother Culture, & Process Rebel in cooperation with True Soldiers Productions, SubPac, and Dubspot. Join the event on Facebook and spread the word! 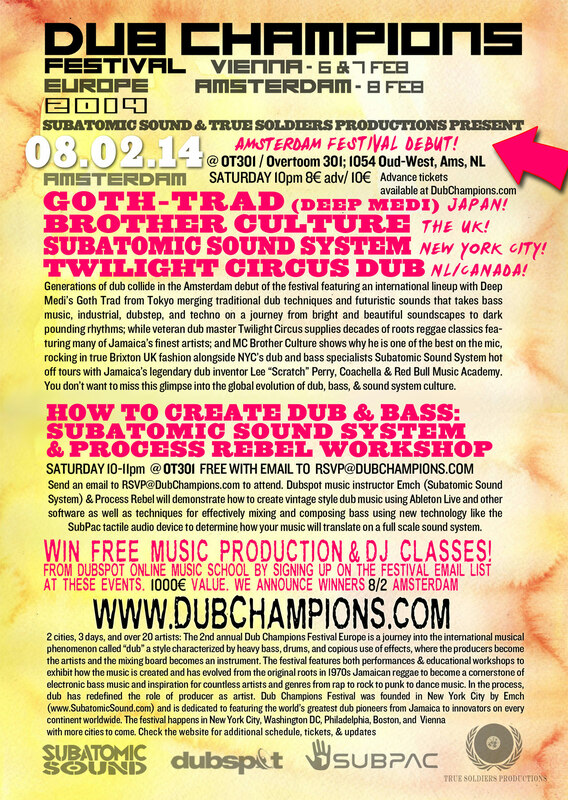 From the reggae roots to the future of electronic bass music with performances and dub creation education featuring the SubPac giving away a free online class from Dubspot (1000€ value).